If anyone is going to teach you nollie backside 180s, it’s gotta be the guy that did one down Wallenberg. 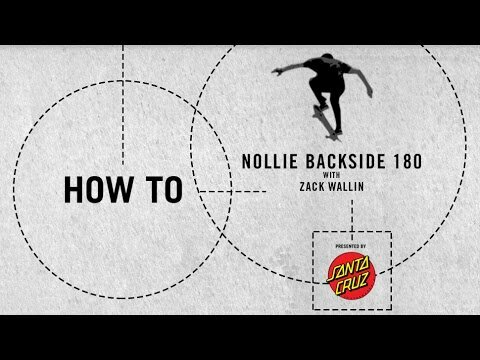 Get the ins and outs from Zack Wallin in this new “How To” presented by Santa Cruz. Late last year, Transworld put out the call for amateur skate filmers to re-edit Zack Wallin’s part from enjoi‘s “oververt” to win a prize pack from enjoi, DVS, Krux, Pig Wheels, and Matix. Zack Wallin has picked the top three clips from the pack and the winners are Eric Eckert (above), Justin Behan, and Buenchuy. Congrats to the winners. See some of the honorable mentions by clicking here. Check out this video the Transworld shot in November of the opening of Chico Brenes’ Central skate camp in his home country of Nicaragua. Karl Watson, Zack Wallin, and Paul Shier joined the expedition. The skate camp is held at the Surf Ranch Resort in San Juan Del Sur, Nicaragua. Transworld has posted Part 2 of their TWS Awards Red Carpet interviews. Hosts Lee Dupont and Brian Schaefer stopped by as well as the Illegal Civ crew and enjoi’s Zack Wallin and Louie Barletta give their picks. If you haven’t seen Part 1, you can view it here. Catch all of the recaps from the 17th Annual TWS Awards over at the Transworld website. Stay tuned to twskate.com for red carpet interviews, photo galleries, and video recaps of the night. For more coverage from the 17th Annual TransWorld SKATEboarding Awards, click here.